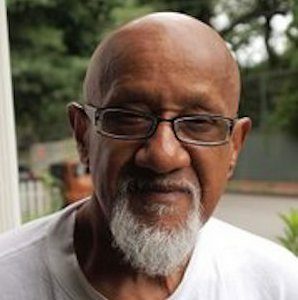 Charles (Chuck) Turner has been a community organizer and civil rights activist in Boston, Massachusetts, since 1966. He graduated from Harvard University in 1963 with a B.A. in government. After a year spent in Washington, D.C. reporting for The Washington Afro-American Newspaper, he moved to Hartford where he joined the influential civil rights group, the Northern Student Movement. In 1966 he returned to the Boston area and joined the South End Neighborhood Action Program (SNAP), where he worked with families who were losing their homes to gentrification. Turner formed a community action group, which pressured local government to provide trash clean-up in black neighborhoods, and he led demonstrations that highlighted how inadequately city inspectors enforced building codes in public housing for the poor. He played a leading role in a campaign that ended successfully in 1970, preventing the city from building a highway through predominantly black neighborhoods. Turner has championed and been actively involved with cooperatives and worker-owned enterprises. In the 1980s he was a leader with the Industrial Cooperative Association (now the ICA Group), for which he provided training on worker-ownership issues. A former leader of the United Community Construction Workers and one-time chair of the Boston Jobs Coalition, Turner crusaded against job discrimination in the City. He campaigned for increased hiring of blacks on city construction jobs. In 1991, unsatisfied with the mayor’s enforcement of fair employment practices, Turner led a four-hour sit-in at the mayor’s office, which resulted in a number of key concessions being made. Turner was elected to the Boston City Council in 1999, representing Roxbury until 2010, and became well-known for challenging education inequality, discrimination, and neighborhood gentrification. He worked in defense of civil and human rights, authoring an ordinance protecting transgendered people from discrimination. He led a successful effort to protect the affirmative-action guidelines of Massachusetts when Governor Mitt Romney sought to change them. As chairman of the Education Committee, he fought educational inequality in the Boston public schools. He sponsored a resolution asking the Massachusetts Congressional Delegation to seek policies leading to a withdrawal of troops from Iraq and Afghanistan as well as policies that put a larger share of our federal dollars into domestic priorities. The resolution passed 8 to 3. Chuck Turner, an inveterate organizer, continues to apply his activism strategies and leadership skills to spearhead community efforts. What About Us–the Earth’s People?